The Filipino “Brain Drain” started in the late 1960s. This was when the United States relaxed its policies with regards to hiring nurses from the Philippines and this started the eventual OFW phenomenon that prevails until today. It was not only the skilled and semi-skilled workers that went abroad. A big proportion of the high-skilled workers also sought foreign shores to be their homesteads. This was because of the failure of the country to industrialize and that made no career paths to those who pursued higher education abroad. This meant very little Research and Development where such skills were needed. Thus, a significant portion of the Filipino scientific community based themselves abroad. A talent resource that the country need badly in order for it not only to be economically competitive but also to propel it among the leading countries in the 21st Century. There have been programs before such as the “Balik Scientist” program but these programs were not enough to entice the bulk of the Filipino scientists based abroad to permanently go back to the country so their immense talents can be harnessed for national development and progress. Senate Bill 1324 filed by Senator Grace Poe seeks to reverse the brain drain and instead have a “brain gain” by the returning Filipino scientists. “This bill envisions a future in which Filipino scientists contribute to nation-building and inclusive growth through the acceleration of research and development in the country,” Senator Poe said. The country needs the Filipinos abroad who are experts and professionals in the field of science and technology to “transfer” their know how and experience so as to further enhance the country’s potential for growth and the much needed scientific breakthroughs that will benefit the country and the world. The Bill enables scientists that are working on short term projects or programs (at least 30 days) to receive benefits that include travel fare, exemptions on tax with regards to their daily allowances, relocation allowances, and donation of instruments and materials required in scientific activities. For medium term programs or projects (12 months), the same benefits and privileges apply plus exemptions on travel tax that includes their immediate families, and payment of multiple entry fees and also the non-requirement of immigration clearance certificates. 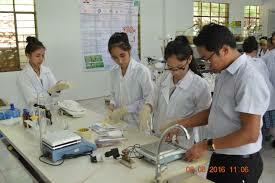 The Bill seeks to make it attractive for Filipino scientists to return and conduct their work in the country.